With prim and polished shapes and the subtle sophistication of classical touches, this recliner will look stunning in a traditional or modern style room. 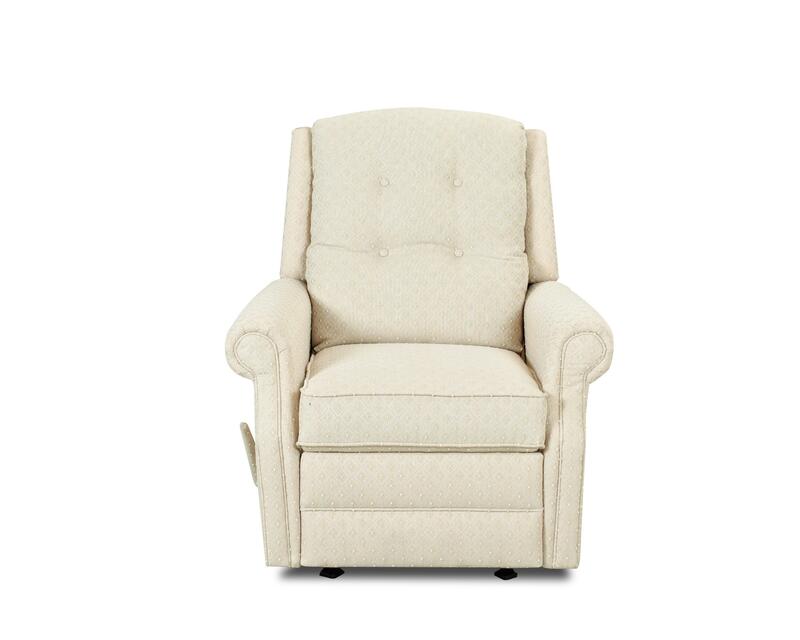 With simplified adaptations of traditional design accents, this recliner features the understated beauty of thinly rolled arms, a button-tufted back cushion, and welt cord trim. 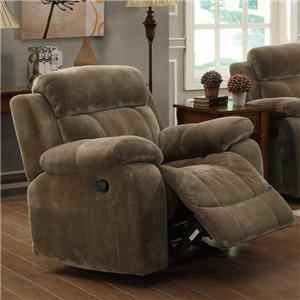 When you lie back and relax in your stylish recliner, you will feel the exceptional soft support of high-density foam cushions and arms cushioned with polyester cotton wrap. A hardwood frame and resilient foam cushion guarantee a long life for your furniture. 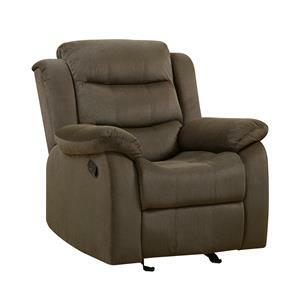 Choose this style as a reclining chair, rocking recliner, glider recliner, swivel glider recliner, swivel rocking recliner, or power-motion recliner. 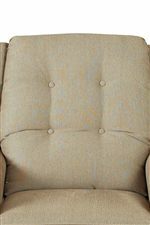 The Sand Key Transitional Manual Gliding Reclining Chair with Button Tufting by Klaussner at Value City Furniture in the New Jersey, NJ, Staten Island, Hoboken area. Product availability may vary. Contact us for the most current availability on this product. Padding & Ergonomics The foam cushion can begin with several different types of foam ranging from 1.5 to 1.8 density. Once the foam is cut into a particular shape, it can then be wrapped with a low melt bonded polyester fiber wrap. The wrap used will vary depending on the look and feel needed for the customer. 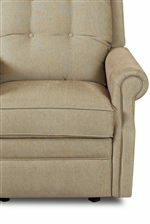 For a polished, timeless look, the Sand Key collection has comfortable recliners ideal for adorning your home. Adorned with classic design accents like button-tufting and welt-trimmed, rolled arms, these recliners are understated variations on the stately, classic armchair. Lay back and enjoy the plush feel of these chairs, fitted with high-density foam seat cushions and polyester cotton-wrapped frame for supreme comfort and long-lasting durability. 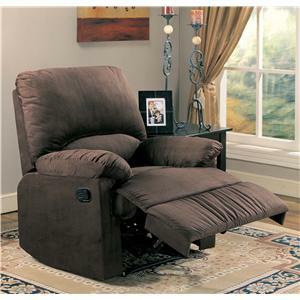 The Sand Key recliners are available in manual recliner, rocking recliner, swivel rocking recliner, glider recliner, swivel glider recliner, and power-motion recliner models. The Sand Key collection is a great option if you are looking for Transitional furniture in the New Jersey, NJ, Staten Island, Hoboken area.